Ideal candidates for Customer Direct generally have a customer service background and appreciate some flexibility in scheduling. They also have a willingness to learn and a strong work ethic, as well as an interest in advancement. In fact, more than two-thirds of our team leaders and supervisory staff started as contact center agents. 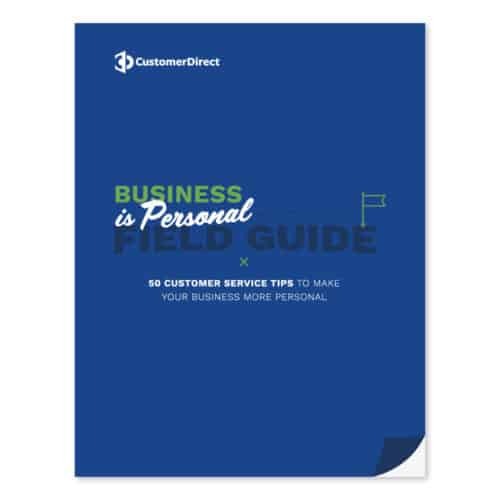 The most successful employees at Customer Direct have a friendly disposition and a sincere desire to help people. They welcome challenge, hard work, and the opportunity to improve themselves. Customer Direct is a full service Contact Center handling customer interactions ranging from Customer Service and Sales to Technical Support. We’re here to help people solve problems. Living a balanced life is important. Offering full-time employees 2 weeks paid time off each year reflects our belief that the best customer services comes from having a health home life. Being healthy and happy is one of our core values at Customer Direct, and we make sure our employees have access to great health coverage. You could be helping people from the comfort and convenience of your own home. Are your weekdays jam packed? With 24/7 support for our customers, weekends are always in high demand. Learning and professional growth is a large part of the culture at Customer Direct. That’s why we developed an ongoing training platform based on identified opportunities and new challenges called Customer Direct University (CDU). Provide excellent customer service. Build customer loyalty through the courteous, efficient handling of customer interactions. Provide excellent technical support & service for customer issues including software, equipment, and sophisticated networks. Receive inbound calls for guests interested in booking hotel or resort reservations, and help them find the right accommodations for their needs. At Customer Direct, we believe in investing in our employees’ futures. In addition to great benefits, flexibility, and industry leading education, we offer amazing opportunities for career advancement. Whenever possible Customer Direct strives to hire from within and promote our exceptional agents to managerial and administrative positions. When it comes to career advancement, our main goal is to elevate people who believe what we believe about the power of customer service, and who want to help build a successful career in our organization.